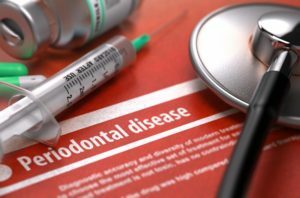 5 Key Tips for Preventing and Treating Periodontal Disease | Smile Logic, Inc.
You’ve heard your dentist tell you for years the importance of brushing and flossing your teeth. Have you heeded their warnings or taken them with a grain of salt? It turns out many Americans don’t practice proper dental care and periodontal gum disease is the result. Amazingly, 47.2%, or nearly half the United States population, have gum disease. The good news is that if you take the proper precautions, periodontal disease is preventable. This article will break down five tips for preventing and treating periodontal disease. One of the best ways to prevent periodontal disease starts in your bathroom. It’s essential to practice good dental hygiene habits at home. Maintain a twice daily cleaning schedule of your teeth, including brushing, flossing, and gargling mouthwash. Brush your teeth for at least two minutes in the morning and two minutes at night. Consider setting a timer by your sink to ensure you give your teeth the brushing they deserve. After you brush your teeth, spend some time in the bathroom flossing. If you’re one of those people who’s pressed for time, consider doing squats while you floss, so you’ll get a workout in while preventing periodontal disease. The final step in your three-step at home cleaning should be using mouthwash. Mouthwash can reach places in between your teeth that you missed with your brush and floss. Mouthwash will also leave your mouth feeling and smelling fresh. No matter how diligent you ‘re about your home cleanings, it’s still important to visit a dentist at least once a year for an annual cleaning. Dentists have the professional cleaning tools you lack to rid your teeth and gums of plaque and tartar. Visiting your dentist regularly is also important because they’ll check your gums for signs of periodontal disease. Dentists are professionals who can give you advice on the best tooth tools for your individual needs. Periodontal disease comes in different phases. The longer the disease lingers in your mouth, the worse it gets. Therefore, it’s important to identify the disease early. You can do this by looking out for the signs of periodontal disease, such as gums that bleed when you brush or floss. As soon as you suspect you may have gum disease, report it to your dentist for a professional diagnosis. Quitting bad habits can help in preventing and treating periodontal disease. Consuming high sugar foods, smoking, and eating late at night increase your chances of developing gum disease. If you eat a midnight snack after brushing your teeth, it’s crucial that you brush one more time before going to bed. You don’t want to leave the food particles sitting in your mouth overnight. Sometimes periodontal disease needs to be treated with surgery. Flap surgery may be necessary to rid your gums of tartar. This surgery involves pulling apart the gum and removing tartar from deep pockets. As you can see, there are several steps you can take to keep your mouth clean and prevent gum disease. Remember that prevention is always easier and less expensive than treatment. Good oral hygiene will improve your overall health and is definitely worth the extra few minutes in the bathroom each day. If you have any questions about this article or want to contact us for any reason, please do so here!